Welcome to Shelf Care where I review three books related by a theme. These aren’t necessarily the latest releases, but are hopefully books you can’t believe you missed. This column’s theme: Cautionary Tales: Black Mirror and The Twilight Zone. Charlie Brooker’s brilliant series Black Mirror is a modern day Twilight Zone, which explores the dark, unintended consequences of our reliance on technology. While we’re waiting for December 29th, 2017, when the fourth season premieres on Netflix, I’ve pulled together a collection of short stories that would make good Black Mirror or Twilight Zone episodes, with unexpected twists that lie in “the middle ground between science and superstition”. These are tales that will leave you thinking about them for days and perhaps years afterwards. So, presented for your approval, here are a few tales with endings you won’t see coming. Dan Simmons is known for writing horror and science fiction, and both are on display in this collection, from the return of a recently deceased loved one in “The River Styx Runs Upstream”, to “Remembering Siri”, which became part of his award winning Hyperion Cantos, to the darkly funny “Vanni Fucci Is Alive And Well And Living in Hell”, where an inhabitant of Dante’s Inferno gets to sound off on a minister’s talk show. The stories are all good, but “Vanni Fucci Is Alive And Well And Living in Hell” is the story that stuck with me, especially once you learn why all of Hell voted for this guy in particular to be the televangelist’s guest. Knowing why NASA went over so over budget in the 70’s with so little to show for it. 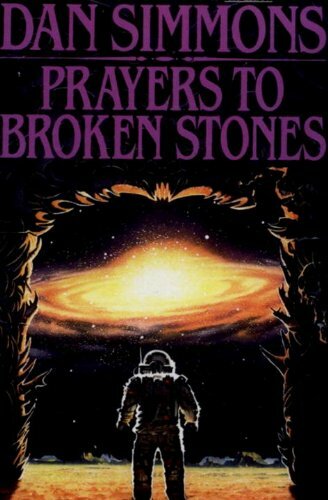 David Brin is probably best known for his Uplift saga, and this short story collection shares it’s themes of plausible science and the human struggle to learn from our mistakes and become better for it. If you’ve ever wondered where all the aliens are, that question might be answered by “The Crystal Spheres”. Or if you’re wondering why the NASA that went from nothing to the moon in the 60’s didn’t seem to be the NASA we had in the 70’s, the answer could be found in “Senses, Three and Six”. Of course then there’s the big question: what were the Nazi’s thinking when they took on the whole world? That finds a chilling answer in “Thor Meets Captain America”. “But I remember forging Chuck’s birth certificate almost two years ago. I set him up as a role, I recall, someone They’d never find because They were looking for somebody else. I remember diving into Chuck and burning everything that came before, old habits, old ways, and most of all the old memories. There’s a decent variety of themes explored here, but the one I think best represents the problems and potential of humanity in a way Rod Serling or Charlie Brooker would recognize is found in the story of an ex-astronaut hiding in plain sight in the previous sample passage from “Senses Three and Six”. 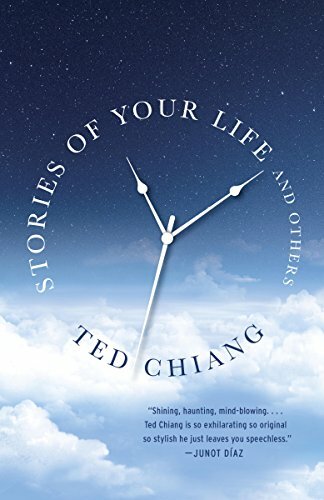 Ted Chiang probably has the highest award to story ratio of any author out there today. He hasn’t written much, but just about all of it has gotten awards. This collection includes the story that was the basis for the movie Arrival*. So if you’ve wondered what a society without prejudice might look like, check out “Liking What You See: A Documentary”. Or if angels manifested on earth as natural disasters, “Hell is the Absence Of God” explores their impact. Or if you’ve ever wondered what would have happened if the Tower of Babel had been completed, look no further than the aptly titled “Tower of Babylon”. The creativity and thorough exploration of ideas in this collection is just flat out amazing. My only regret in recommending it is that there isn’t more of Chiang’s stuff out there, but I suppose if one has to choose quality over quantity, then he’s made the right decision. The Twilight Zone Episode: All of them. 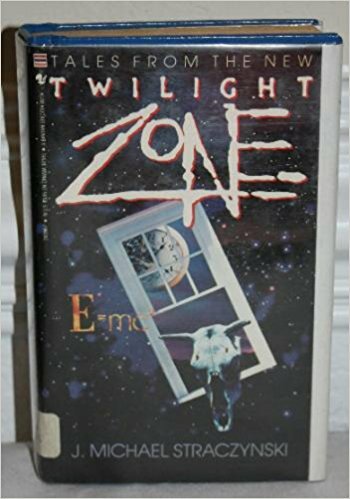 While everybody remembers the black and white Twilight Zone from the 60’s, they may not be aware that there was a fairly decent revival of it in the mid 1980’s. Joe Michael Straczynski (of Babylon 5, Sense 8, and a whole bunch of comic books fame) was a head writer, and this book is a collection of episodes he wrote for the show. 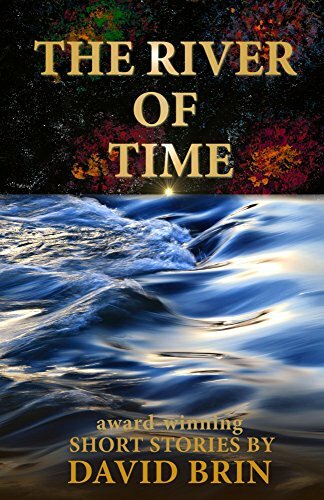 It missed making the list as it looks like it’s gone out of print, and I couldn’t find an e-book version of it, but if you can find a copy of it, it’s definitely worth checking out. So, what else should have been on this list? Leave your thoughts in the comments, and stay tuned for my next column: We’ve Got The Powers. Speaker: Ok, how many of you can read Heptapod B?